SAN MATEO - Large Mid-Century Home - RECEIVED 11 OFFERS! Probate Sale, subject to court confirmation. We received 11 offers. Offer was accepted at $1,800,000. First overbid amount was $1,890,500. Court Date was 4/2/18. Was not overbid. Contact me for more details. 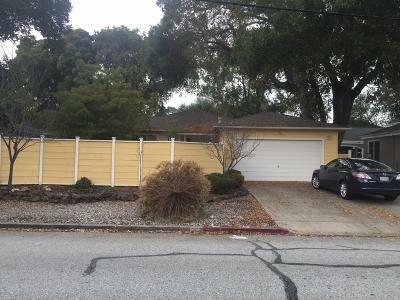 Outstanding large 1950 sq ft per tax mid-century completely detached San Mateo home. Great location, 1 block to Hillsborough and walking distance to El Camino Real stores, restaurants & coffee shops. Flexible floor plan with front yard and back yard, currently used as 3BR 2BAs, formal dining room, large LR overlooking the front yard and extra large eat-in kitchen with multiple skylight, opens into the backyard. Easy freeway access. Lot Size: 6,840 sq. ft.